From the DNA of a supersport legend comes the pure sport roadster. The GSX-S1000F is a motorcycle built for real-world excitement. Derived from the legendary, championship-winning 2005-2008 generation GSX-R1000 the new GSX-S lineup carries the spirit of the Suzuki GSX-R to the street, with shared technology and components packaged into a chassis designed specifically for street riding comfort. Found beneath the slim fairing of this thrilling machine is the legendary heritage of the GSX-R family, the ALL NEW GSX-S1000F was born to deliver heart pounding performance on every road you ride. The GSX-S1000F is powered by a 999cc inline four-cylinder powerplant that’s based on the long-stroke GSX-R1000F engine, which makes for ideal street-riding power and torque curve. Focused on making big power through the low and mid-range, this engine uses cams which are optimized for street-dominating power. 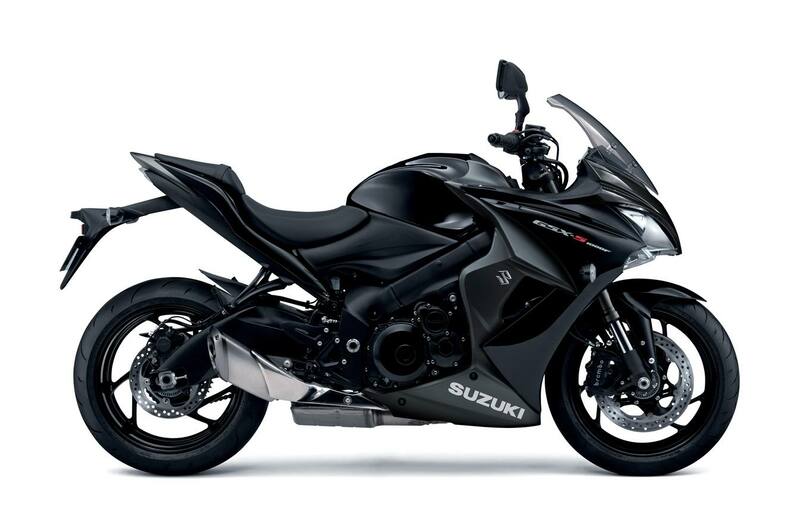 Ground beating power is paired with Suzuki’s Advanced Traction Control System*, Brembo brakes, and standard ABS** the 2016 GSX-S1000F is a street bike packed with serious all-around performance. Wild, aggressive styling compleates the street fighter package to deliver a naked roadster ready to dominate the streets. *The Traction Control System is not a substitute for the rider’s throttle control. It cannot prevent loss of traction due to excessive speed when the rider enters a turn and/or applies the brakes. Neither can it prevent the front wheel from losing grip. **The ABS is a supplemental device for brake operation, not a device for shortening stopping distance. Always remember to reduce speed sufficiently before approaching curves. For 2019 the GSX-S1000F ABS features a slipper clutch and increase power. Additional style and rider protection is presented through the GSX-S1000F ABS model's full fairing and upper windshield. Styled to complement the rest of the chassis and to house an expanded lighting capability, this fairing adds the proper amount of benefits without detracting from the motorcycles other assets. 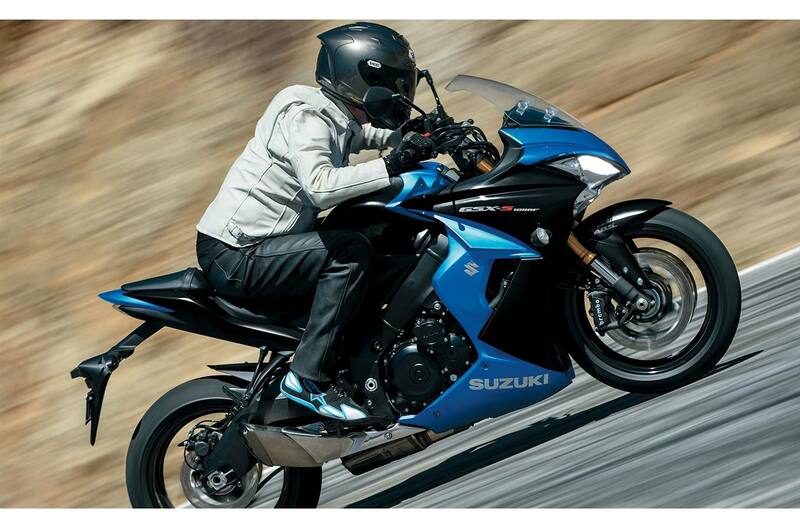 Equipped with ABS, the GSX-S1000F ABS bring rider support to a new class of bikes. 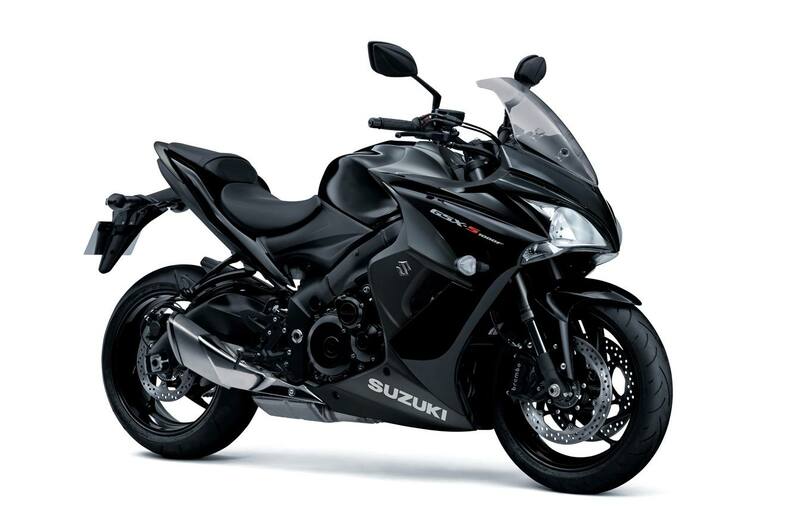 Suzuki's efficient ABS* system, combined with the motorcycle's base traction control, produces a motorcycle capable of delivering a great riding experience coupled with a unique level of poise. 999cc, four-stroke, liquid-cooled, DOHC, inline-four engine based on the legendary GSX-R1000K8 powerplant with a finely tuned fuel injection system that use Suzuki's innovative SDTV-equipped (Suzuki Dual Throttle Valve) 44mm throttle bodies. The GSX-S1000F features Suzuki's advanced Traction Control System* to let the rider control the throttle with more confidence in various riding conditions. It continuously monitors front and rear wheel speeds, throttle opening, engine speed, and the selected transmission gear to adjust engine output if wheel spin is detected. There are four traction control* modes (1, 2, 3, and OFF) and the difference between the modes are their sensitivity to road conditions. Mode 1 is lowest sensitivity level most suitable for skilled riders or in conditions that have good road surface grip (sport riding on good, smooth roads). Mode 2 is next sensitivity level suitable for most riders and road conditions (most riding conditions, urban riding).Mode 3 is highest sensitivity level suitable for road conditions where the grip may be limited (wet or cold surfaces). OFF disengages all traction control features. *Traction control is not a substitute for rider's throttle control under the various conditions, and traction control cannot prevent loss of traction due to excessive speed when entering turns or while braking, and it does not control front wheel traction. Canadian Market will receive amber turn signal lenses; and reflective position lenses located under the headlight.